If you’re travelling to a country that has malaria, it's important that you take the right precautions. Order a prescription for the anti-malaria tablets Malarone, Lariam or Doxycycline online - our service is safe and convenient. When you place your order you will complete a brief questionnaire. Our online doctors will use your information to assess whether malaria tablets are suitable for you. You will receive your prescription by post and you can use it to buy malaria tablets at any pharmacy in Ireland. Check which anti-malaria tablets are suitable for your visit by visiting the Fit for Travel website. A Superdrug Online Doctor will check to make sure the medicine is appropriate for you. Each of the anti-malaria tablets has different side effects. See the detailed information on each tablet below to compare side effects. The best preventative measure that you can take to avoid contracting malaria is to avoid being bitten in the first place. Cover your skin by wearing long clothes, particularly in the evening and at night. Use an anti-malaria spray containing DEET to ward off mosquitoes and other insects. You should also consider using mosquito nets if you are sleeping in a malaria area. There is no vaccine for malaria, so it is important to take steps to prevent contracting the infection. Malarone tablets are taken to prevent and treat malaria. Malaria is caused by a parasite that gets into the bloodstream. Malarone works by preventing this parasite from reproducing. Malarone can be used to prevent the most serious type of malaria – malignant malaria. The strain of the parasite that causes malignant malaria can be resistant to other antimalarial medications, e.g. chloroquine. Malarone can be useful for people travelling to places where this happens. Malarone is made up of two medicines: proguanil hydrochloride with atovaquone, otherwise known as atovaquone-proguanil. You start taking Malarone a couple of days before your trip to the area at risk and carry on taking it for a week after you leave. To prevent malaria you normally take one tablet a day. It is best to take the tablets with food or a milky drink. Side effects of Malarone are rare but can include: headache, nausea and vomiting, stomach pain, diarrhoea. No medication 100% protects against malaria and so you should reduce the risk of getting bitten by mosquitoes by wearing long sleeves, using mosquito repellent, nets and air conditioning, where possible. Doxyclycline is an antibiotic used to treat and prevent malaria. You take it one or two days before you go away and carry on taking it for four weeks after you come back. To prevent malaria you normally take one tablet a day. You should take it with water, not with food, and try to take it at the same time every day. Doxycycline can be used for up to 2 years. Side effects of taking doxycyline can include: skin rash / hypersensitivity to sunlight, nausea and vomiting, heartburn, diarrhoea. Lariam, also known by its active ingredient Mefloquine, is used to treat and prevent malaria. 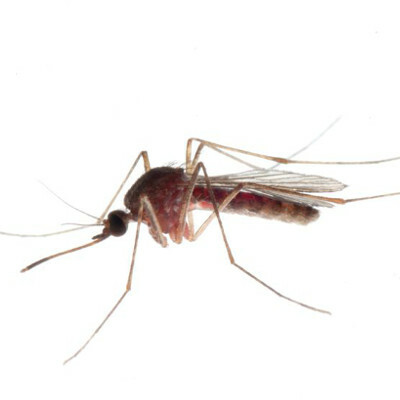 Lariam works by killing the parasite that causes Malaria. It is recommended for places where there are strains of the parasite that are resistant to other antimalarials, like chloroquine for example. You should start taking Lariam about two weeks before you go to the area at risk and continue taking them for 2-4 weeks after you leave, depending what your prescription advises. To prevent malaria, you normally only have to take one Lariam tablet, once a week on the same day. You should take Lariam with a full glass of water, with or without food. Lariam is not recommended for people with a mental health condition, including depression, or for people who suffer epilepsy or seizures. It is also not recommended for people who have a close relative who has one of those conditions. Side effects of Lariam can include: unusual changes in mood or behaviour, seizures, changes in heartbeat, or palpitations. Generic Malarone contains the same ingredients as Malarone and works in the same way. It is slightly cheaper than the branded medication. Dosage: Start taking the tablets two days before travel and continue your treatment until seven days after your return. You need to take one tablet per day. Side Effects: As with Malarone, atovaquone and proguanil tablets are recognised as having less side effects than other malaria drugs.